Here are some live ball (before you have started dribbling) moves that you can work on the rest of this spring and summer. I think you should have at most 3 live ball moves that you practice every time you workout and have confidence in to use 5 on 5. In my opinion, If you have too many moves, you don’t have enough time to practice all of them to be able to execute them under the pressure of a game. 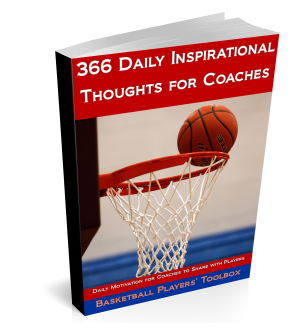 The video is with Coach Rich Walton and from his Skill Development Coach program. The program breaks down skills into a table that is patterned after the Periodic Table of Elements. This is a You Tube video, so please make sure that you are on a server that allows you to have You Tube access.